A few weeks ago, we had the pleasure of mastering for Paul Baker and Question of Time Records (London, UK) for their latest release Moth / Sin Mente EP [QOT12]. We were excited when it reached Week 52’s #68 position on Beatport’s Top 100 Minimal charts. Now, fast forward to week 2 of 2014, and it has reached position #1 for Top Minimal Releases on WhatPeoplePlay.com! A big congrats to Questions of Time Records and Paul Baker! 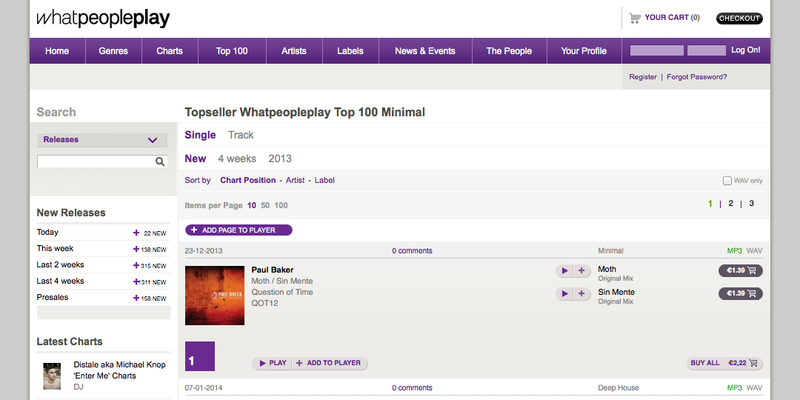 To see it charting, go to www.WhatPeoplePlay.com and visit the Top 100, then click the Minimal Genre. Congrats DarkRoom !!! Best wishes along climbing to the top !